Restoration of historic stained glass, glazing. Renovation, repair, glazing stained glass. Windows vitraj. 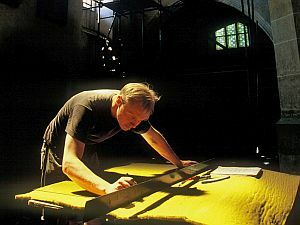 Artist glazier Jiřička-Coufal restores, renovates historic stained glass, glazes and refines stained-glass windows. 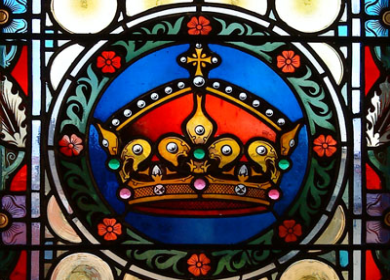 Introduction to the world of stained glass restoration, vitraj, stained glass decorations. 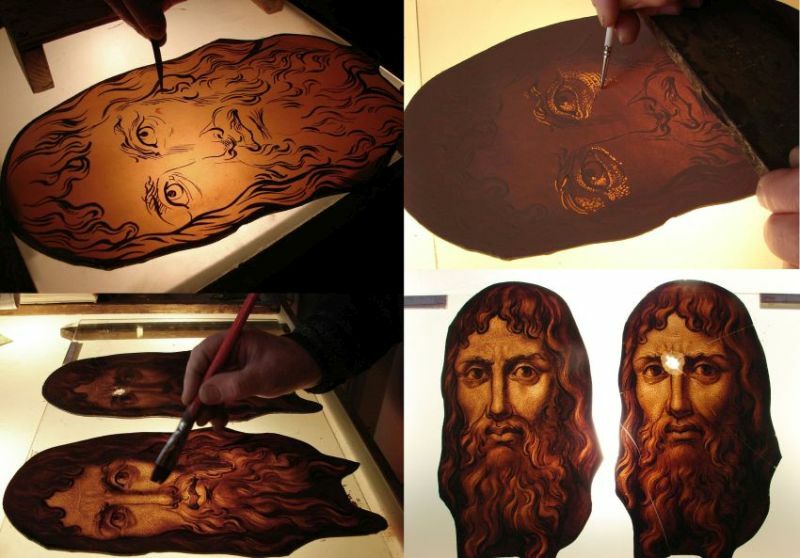 How to restore stained glass. 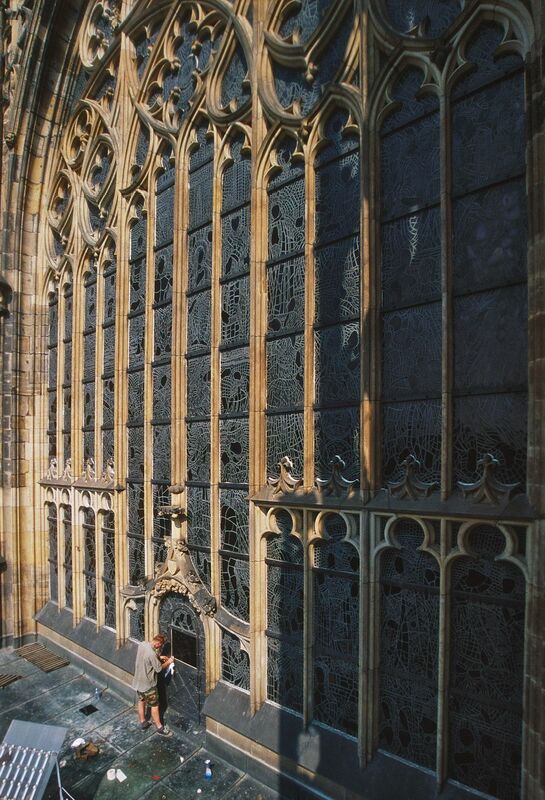 / About the restoration of historical stained glass, stained glasses, stained glass decorations. Since that time, hundreds of square meters of historic stained glass have passed through our studio and even though restoration today uses modern technologies and materials, basic concept remained the same. Pillar of skillfully executed restoration work still is, beside historical knowledge, experience and a technological overview and handcraft skills and respect as well, responsibility and ability to perceive and honor continuity. 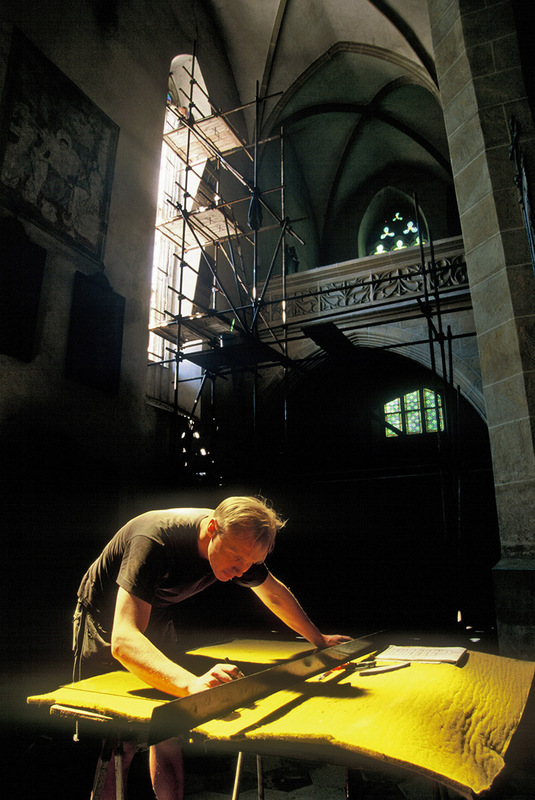 While preparing plans for restoration of the specific stained glass, it is important to take into account its historical, artistic and aesthetic value. Correctly determine the extent of damage and to clearly specify used material – to distinguish original parts from latter additions, which may themselves have historical value as well. 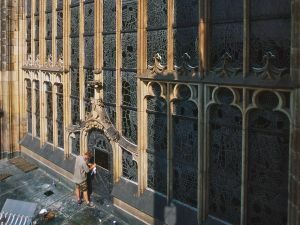 Only after surveying all these aspects, we can start with the restoration itself, which can range from only partial work on-the-spot or complete restoration , which consists of the exchange of lead network, conservation and filling in glass painted elements. Essential part of the restoration process is final restoration report, which should include complete list, with clear description of executed interventions, including recommendation about protective mode and detailed photographic documentation of the entire process. Fragments of Gothic stained glass from the collection located at Křivoklát Castle. 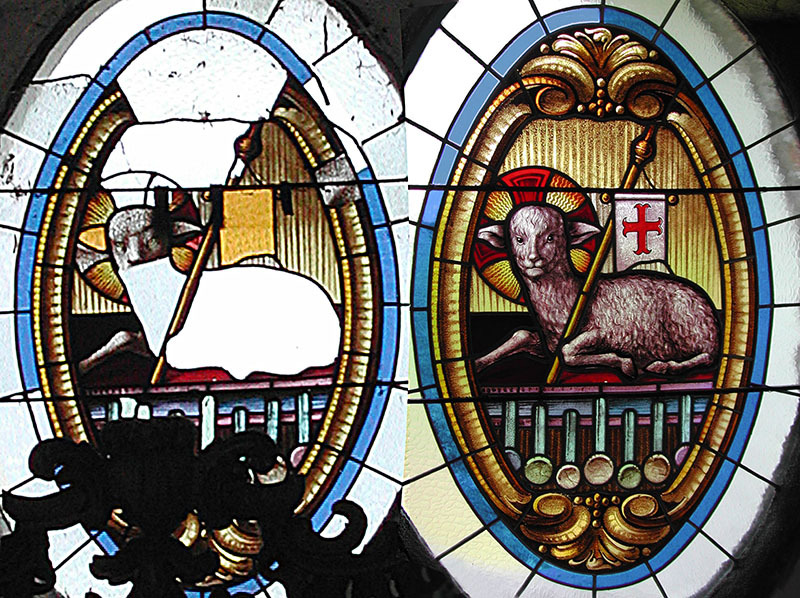 Two fragments of Gothic stained glass from the collection located in the Kost castle.